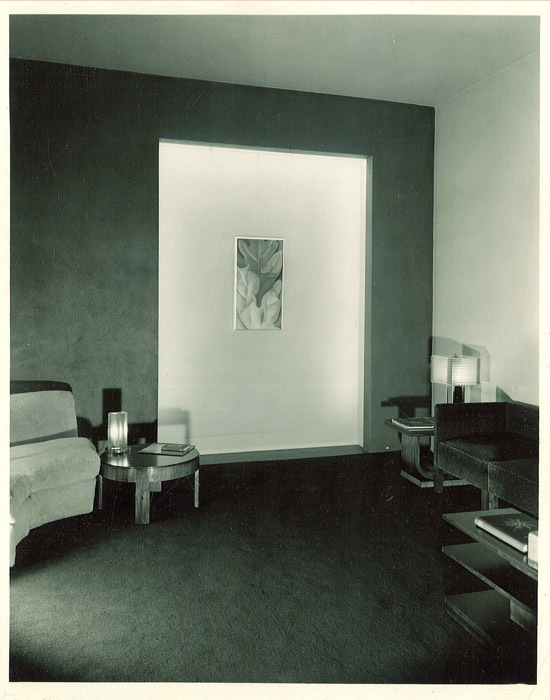 Throughout the summer and fall of 1935, Dean Malcolm Willey and curator Ruth Lawrence were busy making preparations to open a Fine Arts Room as an extension of the gallery. They secured funds from President Coffman to furnish the room as well as to purchase an original work of art to serve as the focal point. Willey and Lawrence selected Georgia O’Keeffe’s, “Oak Leaves, Pink and Gray,” which they purchased in New York City.